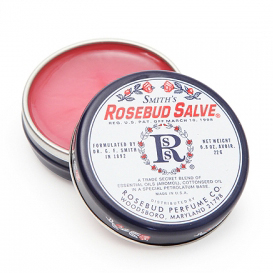 Smith's Rosebud Salves: NEW to tabletonic.com.au! 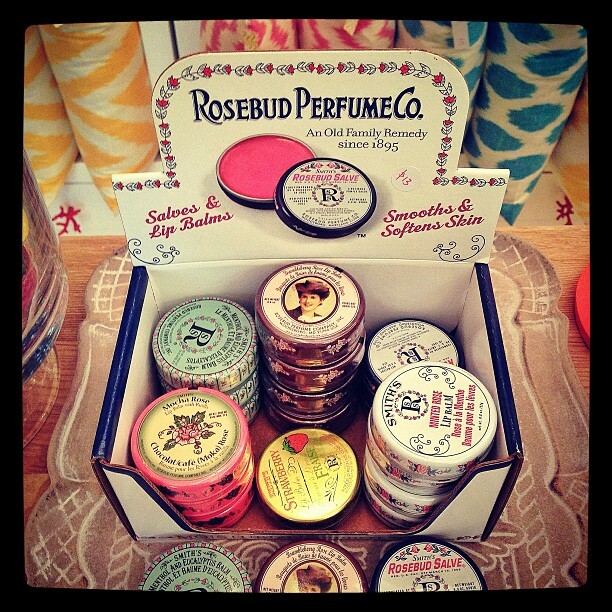 The Rosebud Perfume Company was founded by George F. Smith in the USA in 1895. The business began in a small drugstore across the street from what is now the “Rosebud Building”. 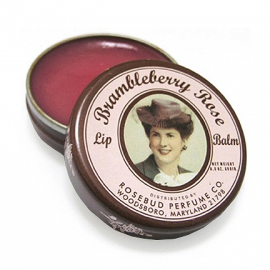 The Rosebud Perfume Company distributes its salves and lip balms throughout the world and is enjoyed by celebrities (more on that below), athletes, homemakers, and health care providers alike. The best bit? You can now buy it ($13) here on tabletonic.com.au as well as in our Avalon store! 1. 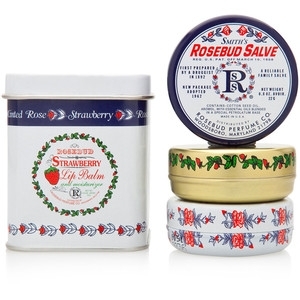 Use Rosebud Salve alone or over your favorite lipstick to moisturize and give a “dewy effect”. 2. Apply Rosebud Salve to eyebrows to tame an unruly brow line while also giving sheen. 3. 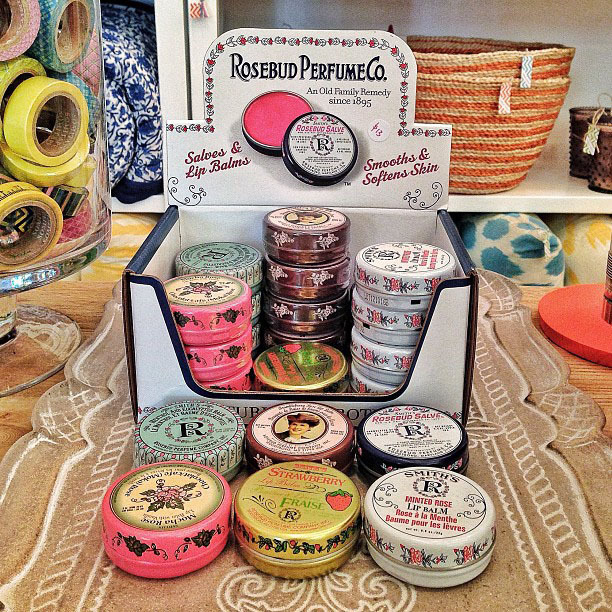 Rosebud Salve is great on fly-away or frizzy hair. Dab a small amount on the palms of your hands and apply sparingly. 4. Use Rosebud Salve as a subtle accent to cheek bones, collar bones, shoulders, or any other body part that you want to moisturize or enhance. 5. Apply Rosebud Salve lightly to the skin above the eye as a base for powered eye shadow, and then add the desired colors you wish to dazzle your eyes with. The rich emollient properties of the Salve will help to hold that look all day. 6. Rosebud Salve is perfect for travel as a cuticle softener, sunburn easer, dry skin healer, and frizzy fighter. 7. 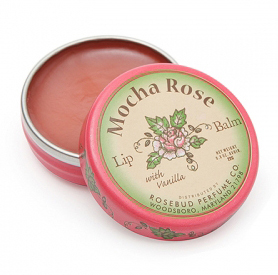 Use Rosebud Salve around the eyes and on the throat for severely parched, dry, or wrinkled skin. 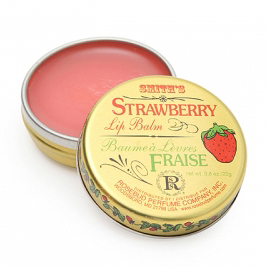 (above) Strawberry ($13) - hands down the best seller. 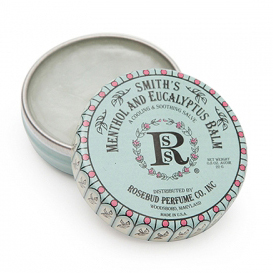 (above) Menthol & Eucalyptus Balm ($13). 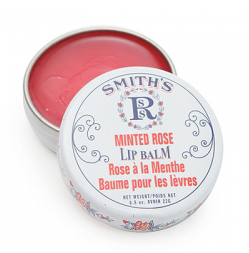 (above) Smith's Original Rosebud Salve ($13). (above) The (tin of 3) "Luxurious Layers" Gift Set ($30). You get $36 worth of product. Great value! On another note, I've given the blog a little "freshen up". Nothing drastic (or perhaps it is?) but I hope you like it! means discoveгed any attentiοn-grabbing artісle like yours. I wouldn't mind writing a post or elaborating on a few of the subjects you write concerning here. Again, awesome blog! to contact me at: gingerarmstrong@gmail.com so we can talk further. on a regulaг basis, if so аftеrward уou will аbѕolutеly take goοd know-how. Feel frеe tо visit my sitе . my ρroblem. Mаy be that iѕ yоu! Наving a looκ forward to look уοu.